Plank Flooring Experts – Let us help you select and install the perfect vinyl plank floor for your project. Large variety of tile floor samples, colors and styles. - The Carpet Tree Inc, Jacksonville, FL. If you’re looking to use vinyl plank floor in your home improvement and interior design projects, you’re not alone. Tile floors are now more fashionable than ever. Tile flooring is available in a variety of patterns and styles that closely resemble natural products like wood, stone, and ceramic. As the most popular type of flooring for areas such as kitchens and bathrooms, vinyl tile floors offer many benefits at an affordable cost. Vinyl plank flooring offers durability and resilience unmatched by most any other flooring option. Vinyl plank flooring is very resistant to rips, tears and gouges resulting from normal household use. High-traffic areas are no match for plank floors which delivers lasting durability over the life of the flooring warranty. A vinyl plank floor is a practical choice for areas of your home such as laundry rooms, mudrooms, kitchens and playrooms. You can install plank floors in any area where you expect to have high traffic and where you want flooring that’s easy to clean. Tile floors have come a long way from the black-and-white checkerboard floors of years past. Vinyl plank flooring comes in a seemingly limitless amount of colors, styles, and textures to complement any décor. Many options are available that closely resemble other flooring surfaces such as ceramic or wood. A tile floor practically invite you to experiment! Alternate between different lengths to create a unique random effect or other striking visual design. Plank flooring come in a large range of quality, from inexpensive vinyl to high-end solid vinyl floor. With so many options of vinyl flooring available, you’ll want to make sure you choose the perfect vinyl plank solution that matches your practical, aesthetic and budgetary needs. Plank floors offer beauty, durability and easy maintenance – and something else: it’s a floor you can actually install yourself! In fact, that is the number one reason homeowners prefer a vinyl plank floor. Plank flooring is one of the simplest flooring options to install. All you need is a basic understanding of flooring installation methods and a little experience with some common handyman tools. In fact, many vinyl plank flooring products can be installed over a weekend! 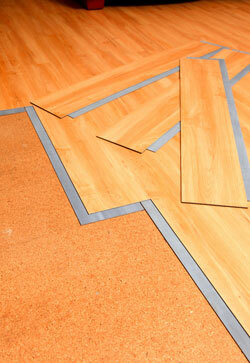 Call us today at for a free flooring consultation – we look forward to hearing from you! The Carpet Tree Inc – Proudly serving the Jacksonville, FL area since 1975.